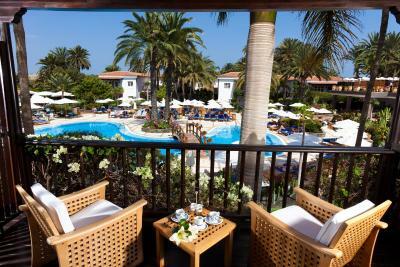 Lock in a great price for Seaside Grand Hotel Residencia - Gran Lujo – rated 9.6 by recent guests! 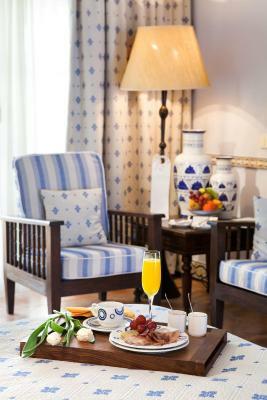 The welcoming of the hotel staff was excellent, the spa was very nice and clean, there was a great breakfast selection. Everything was excellent we could not fault it. Hope to return. Would definitely recommend it. Staff are extremely friendly. 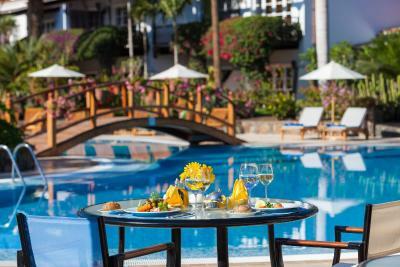 Bar, lounge, pool and veranda areas are superb. Facilities are excellent. Peace. Gym. Excellent managers. Attention to detail. This is a great hotel. 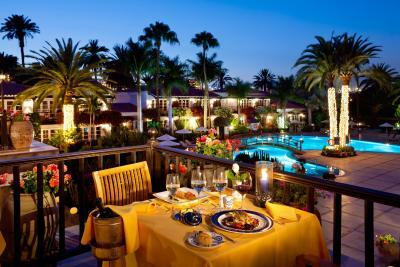 We have stayed there five times before and going to it is our main reason for taking vacations in Maspalomas. As many other reviews will testify the staff, all of them almost without exception, are excellent not only in doing their jobs but welcoming all guests with a smile and assistance when required. 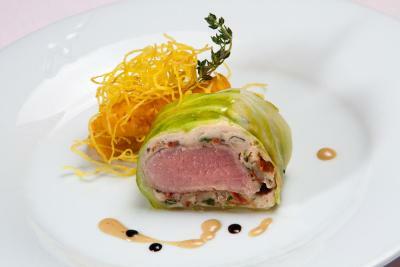 The food is also of exceptional quality. 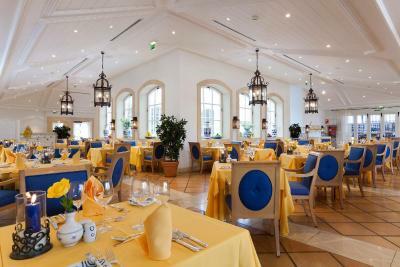 We do not routinely book hotels on a half-board basis but would not consider going to the Residencia without doing so as the food is excellent and varied. 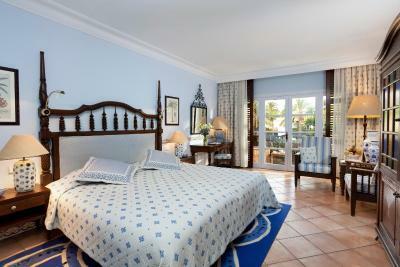 The Grand Residencia, despite the name, is in reality a 90 bedroom boutique hotel. It is not cheap, but good things rarely are. We are already looking forward to returning. Every single thing about this hotel is superb. I could not fault anything. Only wish we could stay longer. Staff in particular. Excellent hotel. Nothing to fault at all. Breakfast was excellent. Food was amazing. Staff very helpful and friendly. Nothing was a problem. A small hotel of 100 rooms which makes it easy to make friends with like-minded people, if one wants. This is a five star hotel in every sense. Most guests have been returning for years. 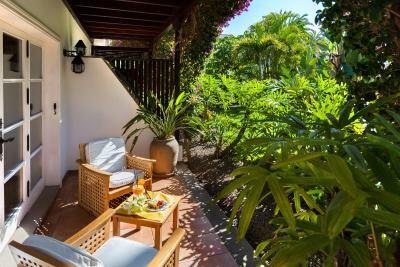 Seaside Grand Hotel Residencia - Gran Lujo This rating is a reflection of how the property compares to the industry standard when it comes to price, facilities and services available. It's based on a self-evaluation by the property. Use this rating to help choose your stay! 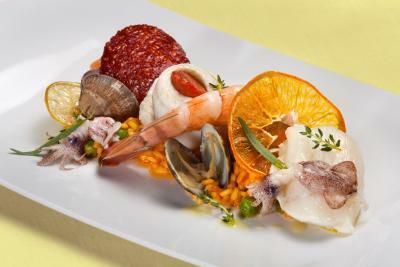 One of our top picks in Maspalomas – and a guest favorite. 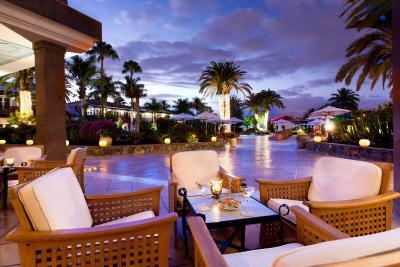 This luxury complex surrounded by tropical gardens is a quarter mile from Gran Canaria’s Maspalomas Dunes. 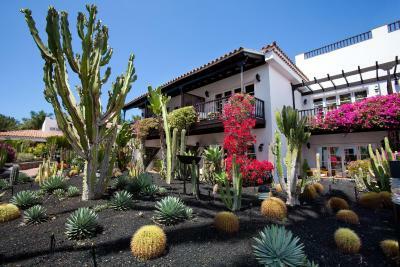 The Spanish colonial-style villas have private balconies or terraces, and there is a free spa and a heated outdoor pool. 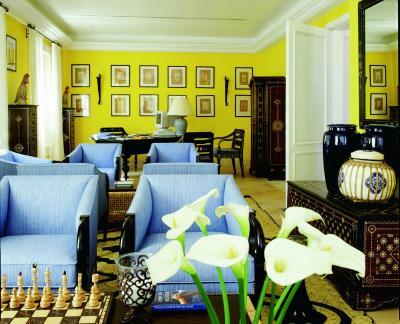 The air-conditioned villas at Seaside Grand Hotel Residencia are decorated in relaxing blues and yellows by French interior designer Alberto Pinto. 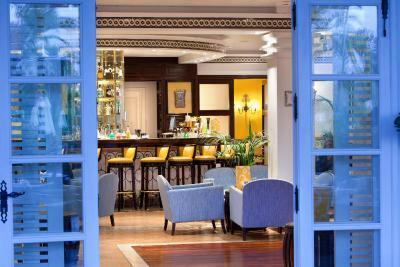 They have modern facilities like satellite TV and free Wi-Fi. 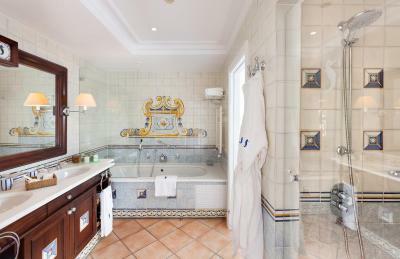 Grand Hotel Residencia guests have free access to the spa’s gym, hydro-massage saltwater pool, sauna and Turkish bath. Free Taichi and agua-gym classes are also available at the neighboring Seaside Palm Beach. 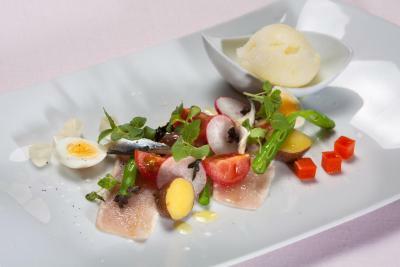 The restaurant serves Canarian and international cuisine. 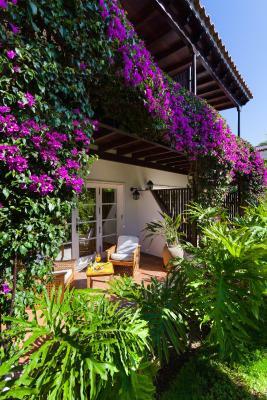 It has an outdoor terrace with views of the lush gardens and mountains. There is a poolside snack bar and a piano bar. 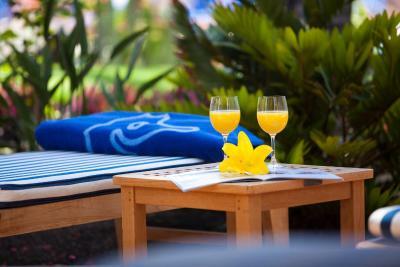 Guests have free access to a tennis court and other facilities in the Hotel Seaside Palm Beach complex 650 feet away, and Meloneras Golf Course is one mile from the hotel. There is also a DVD library with movies in various languages. 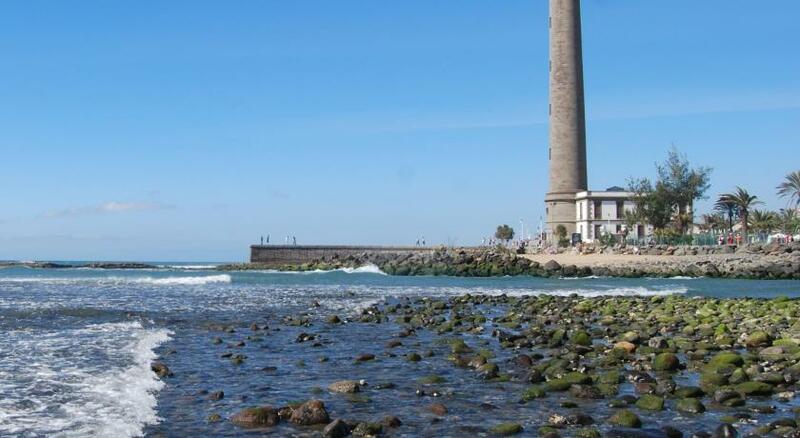 This property also has one of the top-rated locations in Maspalomas! Guests are happier about it compared to other properties in the area. 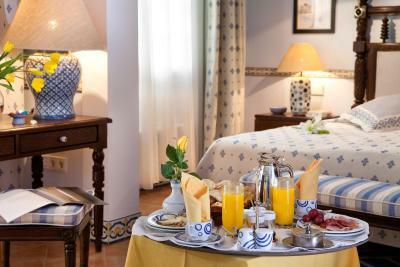 When would you like to stay at Seaside Grand Hotel Residencia - Gran Lujo? 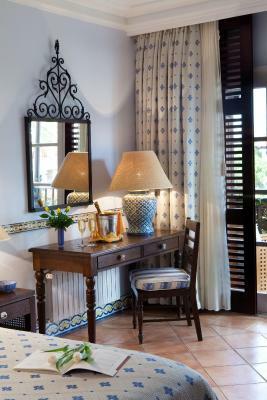 Overlooking the gardens, this stylish, air-conditioned room features free Wi-Fi, LCD satellite TV and a private bathroom with L'Occitane toiletries. The room also comes with free fruit, water and newspapers. 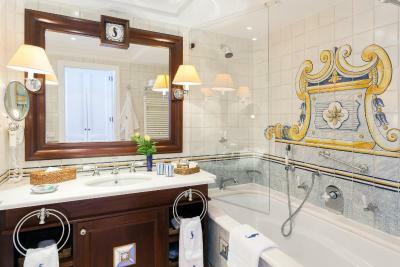 Overlooking the pool area, this stylish, air-conditioned room features free Wi-Fi, LCD satellite TV and a private bathroom with L'Occitane toiletries. 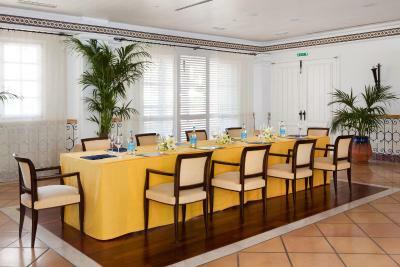 The room also comes with free fruit, water and newspapers. 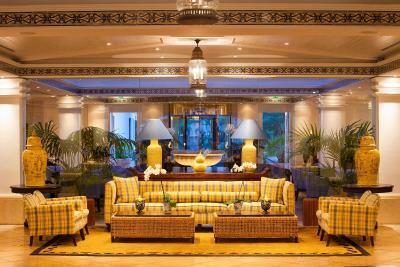 This spacious, air-conditioned suite features a separate lounge area with a sofa. 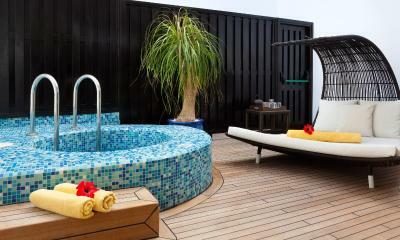 There is LCD satellite TV, free Wi-Fi, a coffee maker and a private balcony with pool or garden views. 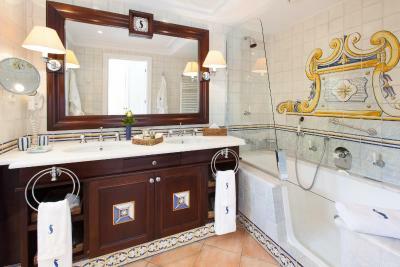 The private bathroom includes a spa bath and Bvlgari toiletries. This twin/double room has air conditioning, CD player and DVD player. This twin/double room has a satellite TV, mini-bar and bathrobe. This suite has a sofa, bathrobe and seating area. 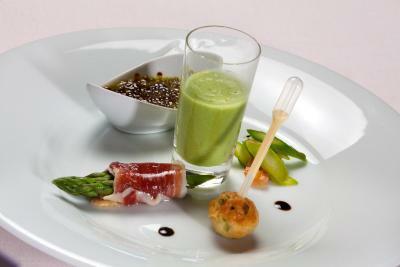 Enjoy the combination of luxury, relaxation and first class service on your Canaries holiday – a holiday full of additional delights and culinary highlights, thanks to our excellent gastronomy. As the only member of the “The Leading Hotels of the World” on Gran Canaria the Seaside Grand Hotel Residencia on the Canaries offers a luxury experience beyond expectations. Our hotel meets the highest demands of luxury and comfort. 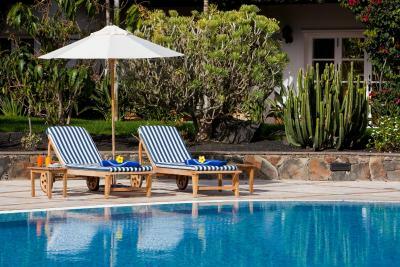 The design of the Seaside Grand Hotel Residencia on Gran Canaria promotes feelings of harmony and invites you to spend wonderful, relaxing days on the Canaries. 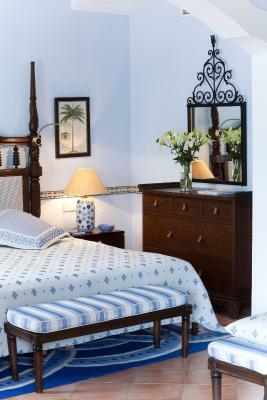 The Parisian designer Alberto Pinto drew up and realised the plans for the Spanish-colonial style hotel on the Canaries which sparkles with charm. 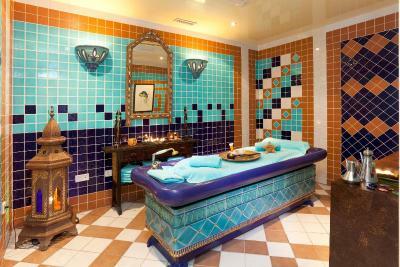 You will find peace, privacy and relaxation in a luxurious setting. 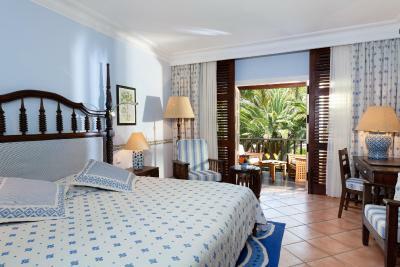 A holiday in our hotel is exactly right for couples of all ages, golf fans and people wanting a restful time away. 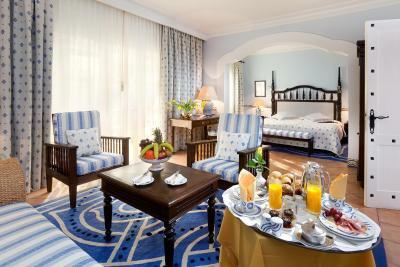 It doesn’t matter whether you choose bed and breakfast or half board – we will spoil you round the clock while you spend your Canaries holiday with us. 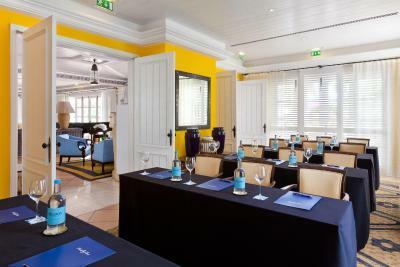 Our friendly service, the excellent gastronomy and the luxurious setting guarantee you a perfect holiday on the Canaries. 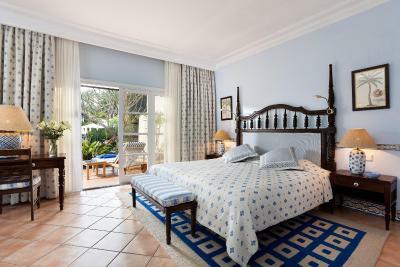 House Rules Seaside Grand Hotel Residencia - Gran Lujo takes special requests – add in the next step! 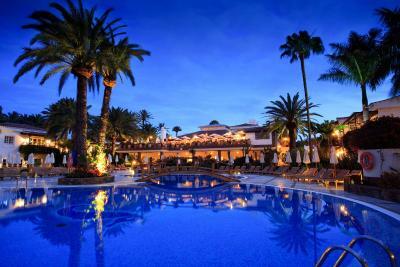 Seaside Grand Hotel Residencia - Gran Lujo accepts these cards and reserves the right to temporarily hold an amount prior to arrival. Dinner: 6:30 pm to 10 pm during winter months and from 7 pm to 10:30 pm in the summer. Please note that a dress code applies to the restaurant. Shorts, sandals and shirts without sleeves are not allowed. Lack of view from our particular room. Bathroom would benefit from updating. The room view could have been better as it was rather dark inside. Continuous flushing loo keeping us awake. No action in spite of report. Some of the waiting staff were very rushed and it would be better if there were timings as everyone seemed to arrive at once. 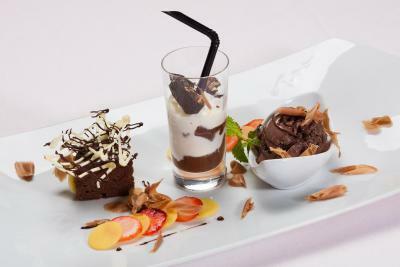 The half board dinners were varied and beautifully presented - but many dished lacked taste either by seasoning or herbs. Thought it was me until the paella on the bbq which was fantastic. Smoking should be banned . Dining room evening service was erratic, table not always available. 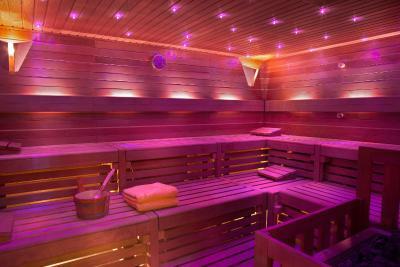 Also, there were issues over sunbed bagging! Some music around the pool would be most welcome. Also, there is only 1 (fancy) restaurant with dress code. As we didn't want fancy food, the only alternative was room service, which we took. The room service food was good so it was not a problem. 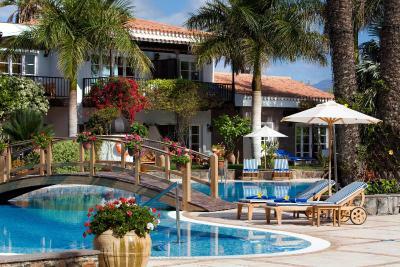 This is a wonderful small luxury hotel and a real oasis where you can switch off from everything! 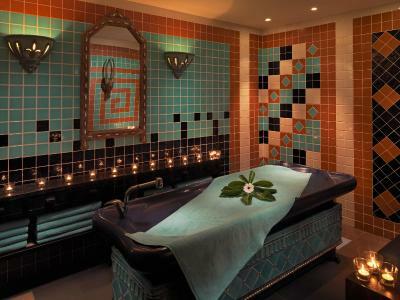 The spa was fantastic, especially the salt water pool. The gym was excellent, with sufficient equipment. The staff were so friendly, and nothing was too much trouble! The food was superb, and we especially enjoyed the BBQ! We will be returning to this little gem very soon! Restaurant service somewhat slow during dinner. 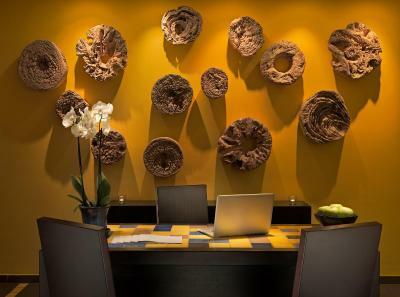 The hotel is a pearl in many aspects: location, architecture, customer service, comfort. It is an oasis in a crowded touristic area. 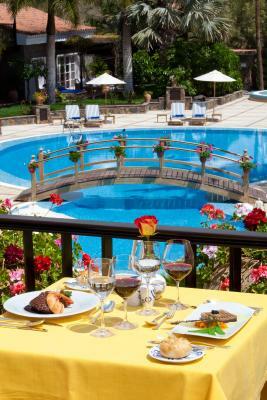 Beautiful swimming pool, excellent food and most of all very friendly customer oriented attitude.